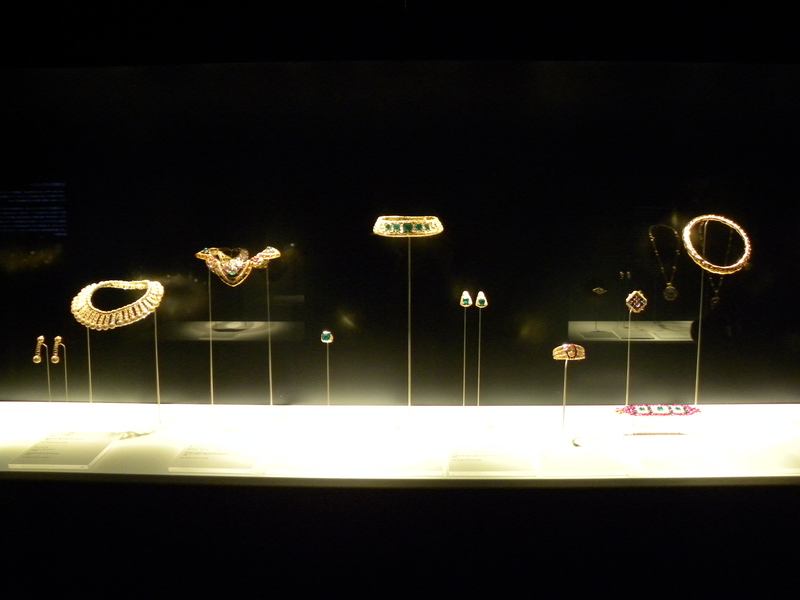 Grab your sunglasses and prepare to be blown away by the blinding sparkles of some of the world’s finest precious gems, stones and diamonds, all in the form of beautifully, well-crafted Italian luxury jewelry from none other than Bvlgari in their exhibition Italian Magnificence. Even their sleek 銀座 (Ginza) tower has been installed with a fierce snake that lights up at night. 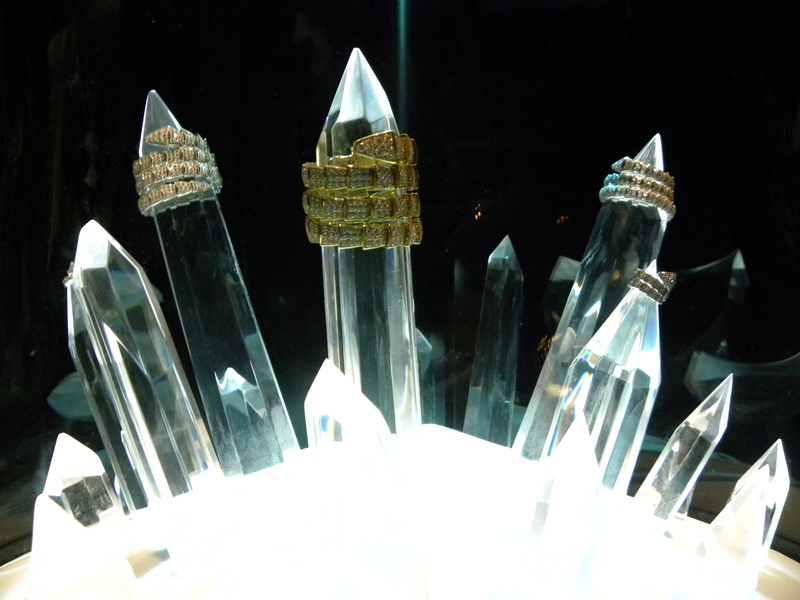 Needless to say, the exhibition was absolutely breath-taking! Enjoy the photographs and try not to drool too much! 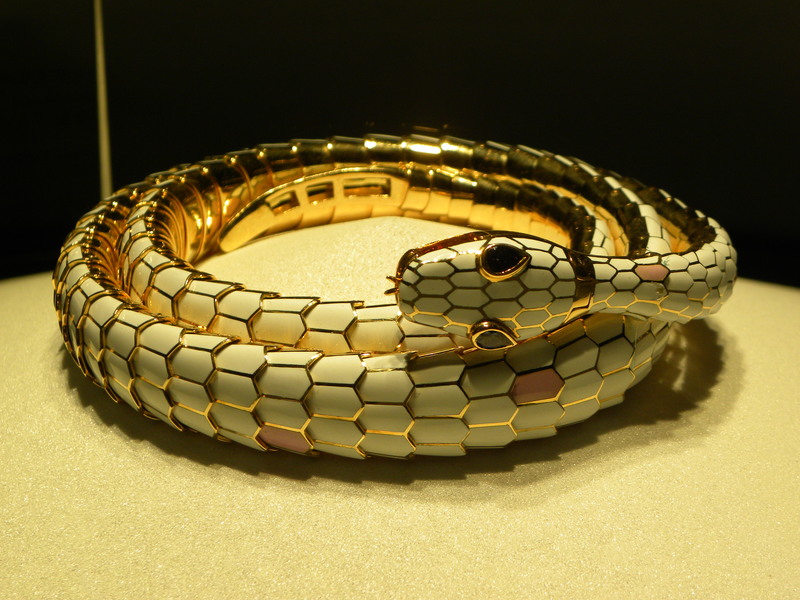 “Snake” belt in gold with polychrome enamel and sapphires, 2010. 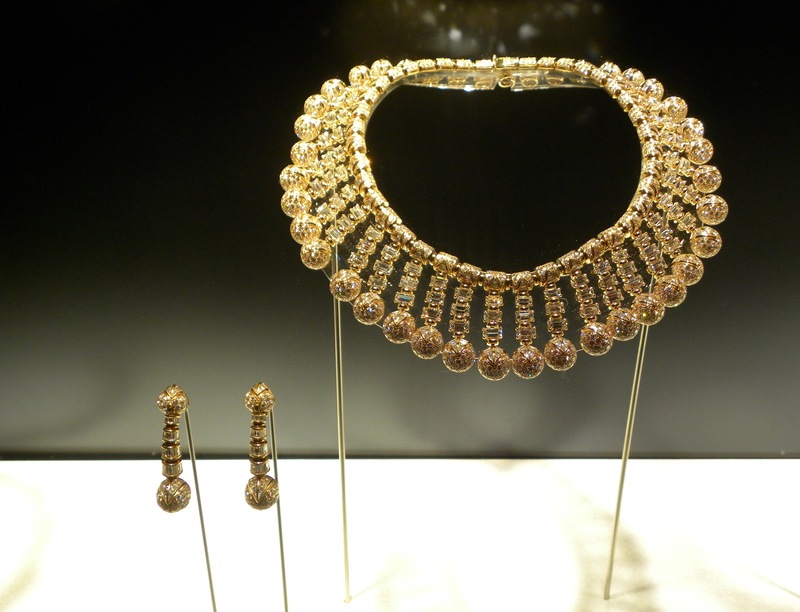 From the Bulgari Heritage Collection. 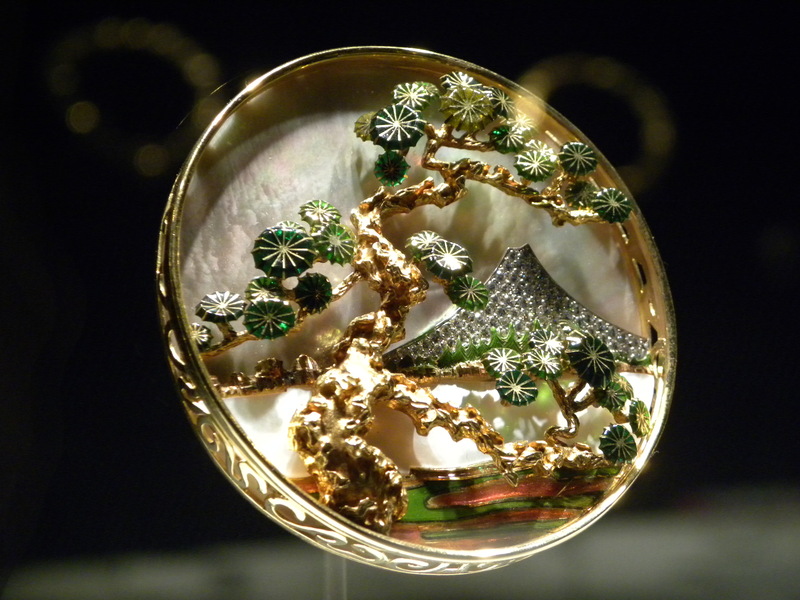 “Mount Fuji” brooch in gold and platinum with mother-of-pearl, polychrome enamel and diamonds. 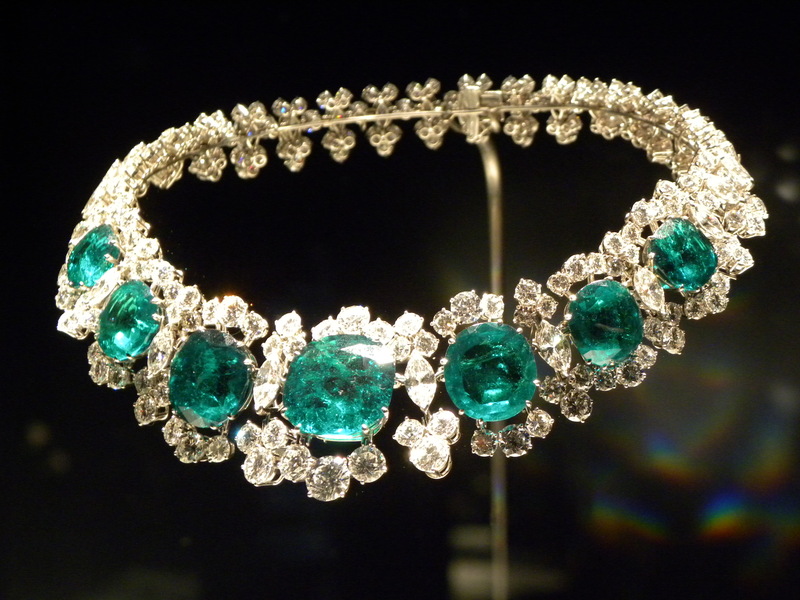 From the Bulgari Heritage Collection. 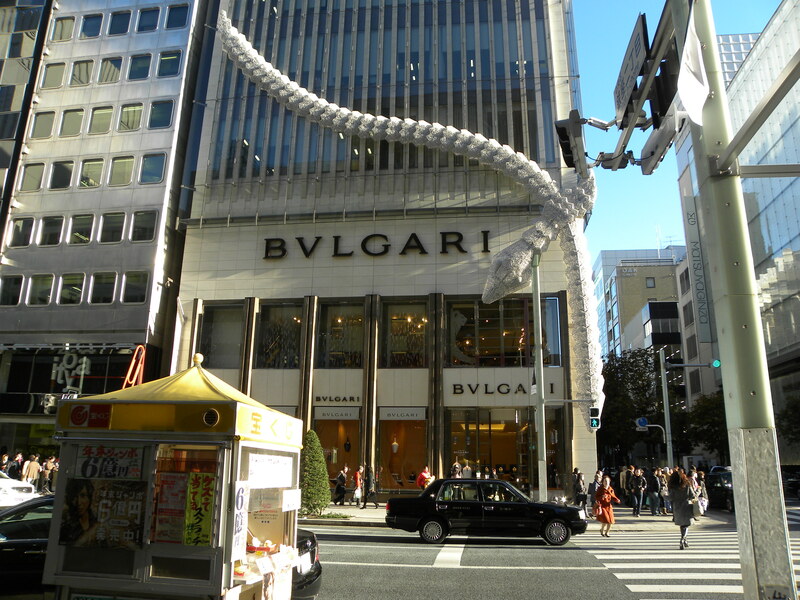 This entry was posted in Design, Exhibition, Jewelery, Luxury, Shopping, Style, Tokyo, Travel and tagged Bulgari, Bvlgari, Design, Exhibition, 銀座, Ginza, Italian Magnificence, Japan, Jewelry, Luxury, Shopping, Style, Tokyo, Travel by linneabylinneanilsson. Bookmark the permalink. 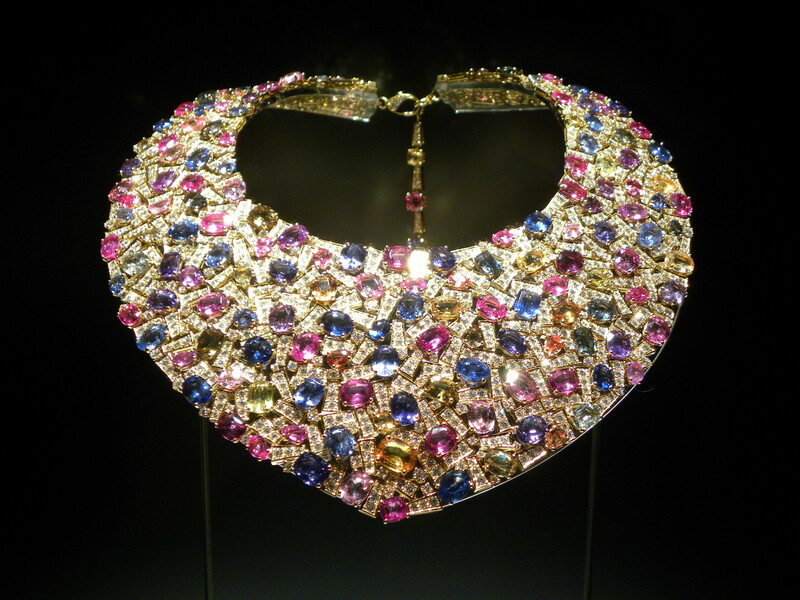 The first colorful collar necklace is beautiful!